At BritMums we know only too well about the discomfort and anguish caused by nappy rash, for babies and parents. Itchy, irritated, red skin understandably makes babies miserable and when they’re miserable they’re clingy, grumpy and sleepless — making for grumpy and tired mums and dads. Newborns’ skin is 40% thinner and also softer than adults, which makes it more sensitive to irritants, like those in wee and poo which can cause nappy rash. Almost every baby develops nappy rash at some point, so protecting your baby from the start makes perfect sense, instead of waiting for your little one to suffer from a sore bottom. Bepanthen helps sensitive skin to repair its natural protective barrier while keeping it soft, smooth and moisturised. It is so gentle it can be used straight from birth and as often as required. 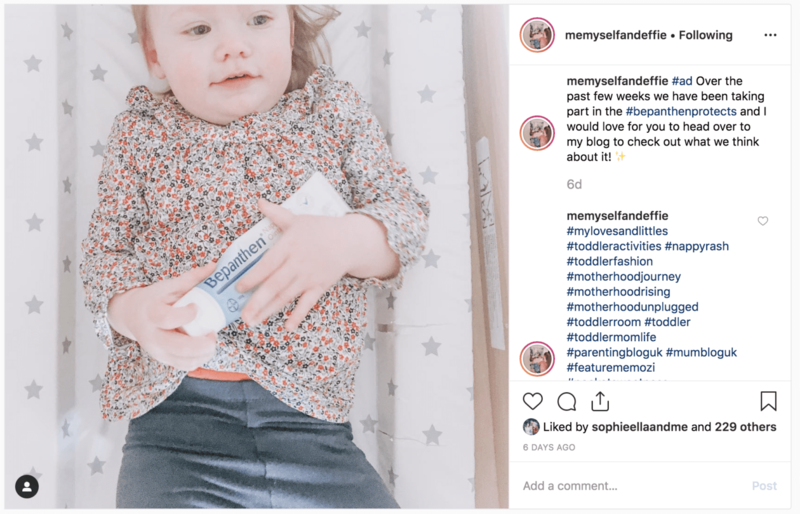 We recently invited our community to participate in the #BepanthenProtects Challenge, asking our community to use Bepanthen, review it and then post around the theme of stopping your baby’s sore bottom before it starts. Newborns’ skin is 40% thinner and also softer than adults, which makes it more sensitive to irritants, like those in wee and poo which can cause nappy rash. Nappy rash affects 1 in 3 babies at some point, so protecting your baby from the start makes perfect sense, instead of waiting for your little one to suffer from a sore bottom. Bepanthen helps sensitive skin to repair its natural protective barrier while keeping it soft, smooth and moisturised. It is so gentle it can be used straight from birth and as often as required. 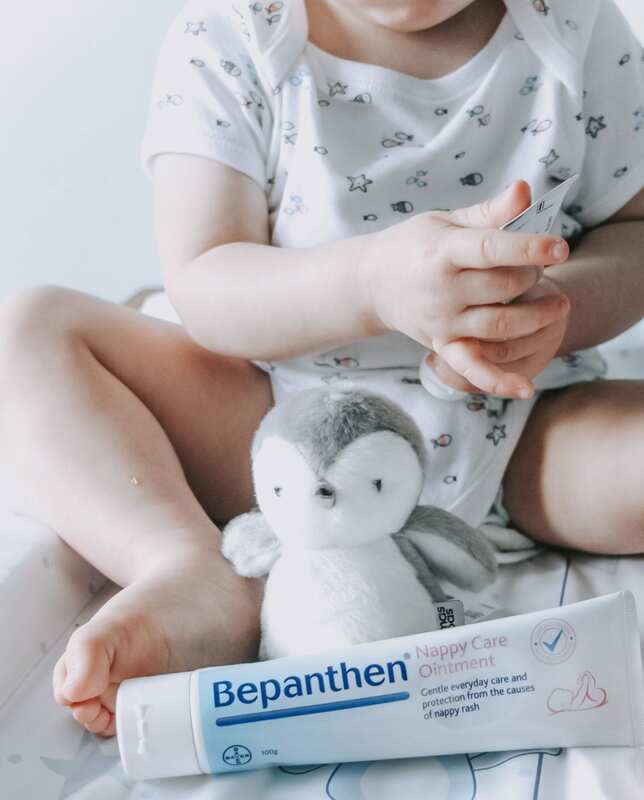 We recently invited our community to participate in the #BepanthenProtects Challenge, asking our community to use Bepanthen, review it and then post around the theme of protecting your baby’s bottom from the causes of nappy rash! The Challenge was sponsored by Bepanthen and parents were provided with the ointment to use on their baby. Parents of babies and toddlers know how an angry red bottom makes children unhappy, especially during the first 12 months when nappy rash is especially common. Tight nappies, eczema, weaning — all can lead to nappy rash. Not only is baby unhappy, but coping with nappy rash is a challenge for parents. 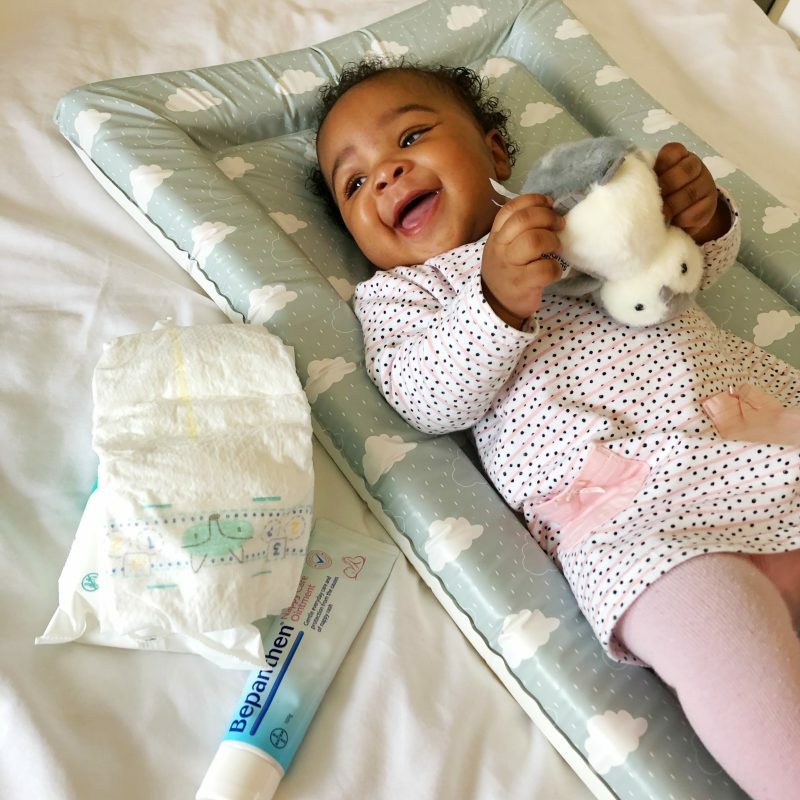 ‘A difficult nappy changing routine can be made even harder when a baby has a sore bum and doesn’t want to be touched,’ says Emma from Ready Freddie Go! Bepanthen nappy care ointment is all about providing protection for baby’s sensitive skin, against the causes of nappy rash. That is to say, before nappy rash appears. And because Bepanthen has a kind-to-baby’s skin approach — no fragrances, no colours, no preservatives, no parabens and no antiseptics — it can be used from birth and at each nappy change. It also contains Pro vitamin B5 to help skin repair its natural protective barrier. ‘Bepanthen has been a staple in our house for the last month and I can confirm I love it. Not only does it protect little bums but comes in two handy sizes — a larger one for in the house and a smaller one for on the go,’ reports Faye from Glossytots. ‘This stuff is definitely a must for any parent, but I can see it being much more beneficial for newborns as we all know they constantly poop,’ says Wrexham Mama. In our test, parents noted that the ointment comes out white but turns clear when applied, so there is not a smeary mess on clothes or left on skin. This is because Bepanthen forms a transparent, breathable layer, helping to protect your baby from irritants and rubbing that can cause nappy rash. ‘Bepanthen is a lovely smooth ointment that easy rubs into baby’s skin without leaving it sticky or clammy,’ says Momma Mack. ‘As a first time mom I’m very particular with what I use on Aniyah’s skin and love the fact that Bepanthen has a kind-to-skin formulation which is so gentle it can be used from birth, as often as required and is even suitable for premature babies, says Viv from Motherhood Memoirs. ‘Since using Bepanthen on Bubba I’ve noticed how easy it is to apply. Non-sticky, a little goes a long way which means it offers great value for money,’ says Thrifty Mamma Thrifty Bubba. While it’s what’s on the inside that counts, the packaging of Bepanthen is an added benefit, our test parents say. ‘In the past I’ve used other creams that have mostly been in tubs, and I’ve always found them messy and would get stuck under my nails,’ says Lucy from Momma Mack. (We’ve definitely been there.) Viv from Motherhood Memoirs likes that it’s ‘more hygienic’ than sticking a finger into a pot over and over. Would test parents recommend Bepanthen? It was great taking part in the Bepanthen Protects challenge. I’ve always used Bepanthen on both my girls. Thanks for including us in this challenge, we’re still working our way through the tubes and using every day ….. so far nappy rash free !! Thankyou for letting us take part in the challenge. Bepanthen still is a main feature of our Nappy changes and it will continue to be so. We loved taking part in the project, ive been reccommending it to all my mama friends because we beleive its the best going! Great product – we love it and have been using for weeks now. Not messy at all. I’m a huge fan of Bepanthen and it was fantastic working on this collaboration!